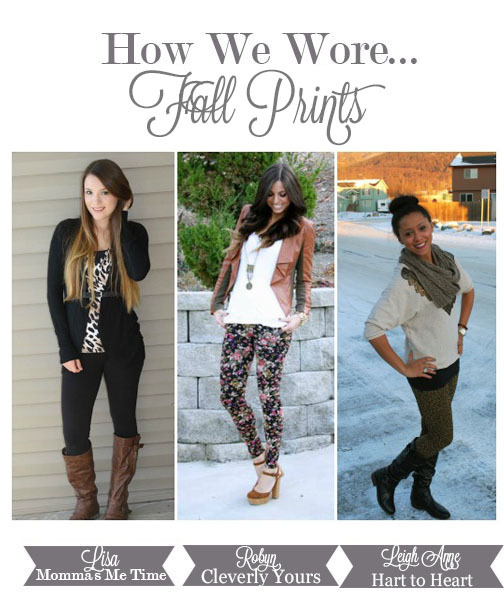 probably one of my favorite posts thus far for "how we wore"! flowered, leopard, camo, aztec, polka dots, stripes- you name it, i'll wear it! so when i found these fabulous printed leggings at f21 for only $10, well, i guess you can figure out the rest since they are shown here- being worn by yours truly! also- make sure to check out leigh anne and lisa's posts! Cute pants. I could never wear a printed pant. It kinda scares me. $6 shoes?!?!?! please, tell me where! Forever 21 lady! They were a steal! also, the blonde tips are Amaze. love it and your hair is amazing!!! Scared to try the prints because i have very muscular legs but i love this outfit!!! Don't be scared! I'm sure they would look amazing- even more so with muscular legs! if only i could pull off flowered pants! So glad you are enjoying! Love the detailing on the jacket!